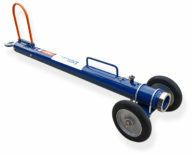 Home > Products > AERO TB125 Multi-Head Towbar, 125,000 lbs. 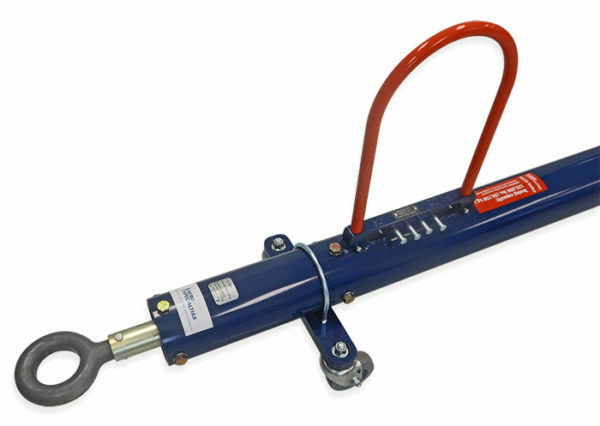 Our TB125 multi-head aircraft towbar is used for aircraft weighing up to 125,000 lbs. (56,699 kg. 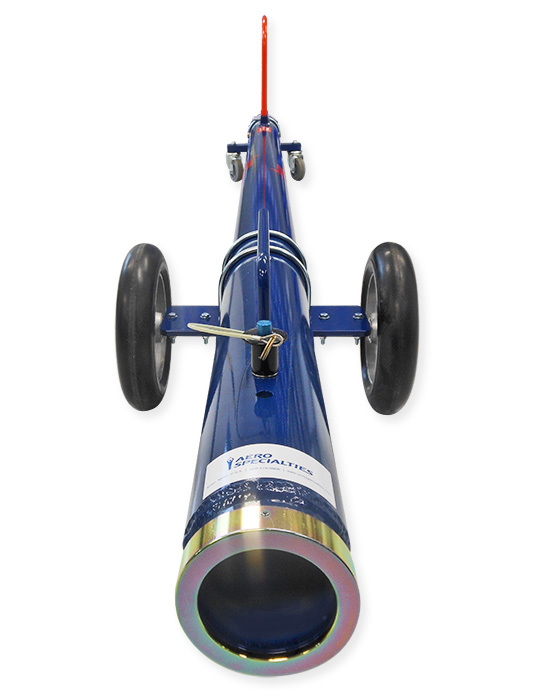 ), and accepts all AERO Specialties aircraft towbar heads in that weight range. The TB125 also accepts other manufacturers’ towbar heads in this class. The TB125 features an improved, no-maintenance elastomer shock-absorbing lunette assembly, and a no-tool, field-replaceable drop-through shear pin system. The handle has also been upgraded, incorporating an easy-access spare shear pin holder. AERO Specialties is the approved and preferred manufacturer of towbars and heads for Horizon, Frontier, and Mesa regional airlines, as well as most major FBO chains such as Signature Flight Support, Landmark Aviation, and Atlantic Aviation. Compares to Tronair 125,000 lbs. capacity multi-head towbars, part numbers 01-1270-0010 and 01-1290-0100. Includes quick-release Ball Lock head attachment pin with lanyard. 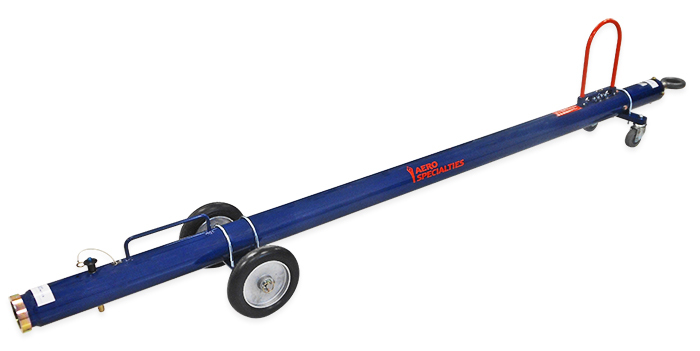 AERO TB125-5 5-Foot Multi-Head Towbar, 125,000 lbs.